[HONG KONG] If you were to talk a walk down Gough street, you will notice that it is full of stylish boutiques and cool eateries. 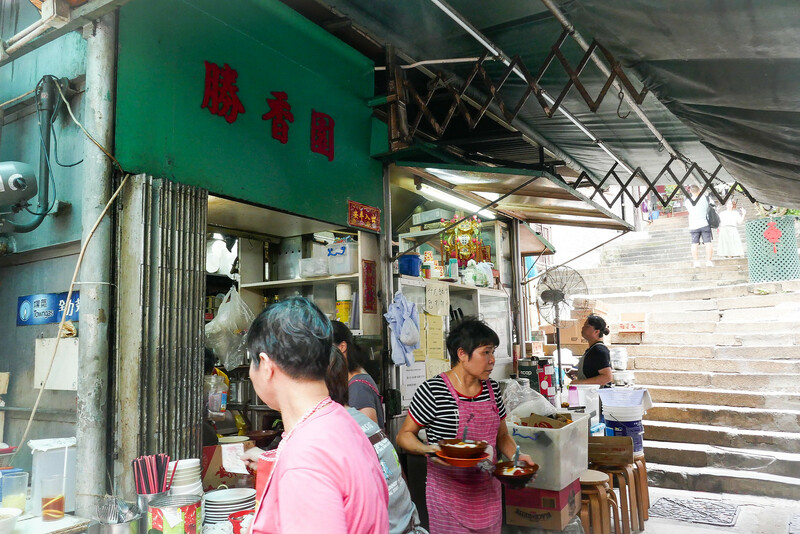 There are also good ol’ traditional eateries such as Sing Heung Yuen (勝香園), one of the remaining ‘dai pai dong’ (大排檔) in Hong Kong. 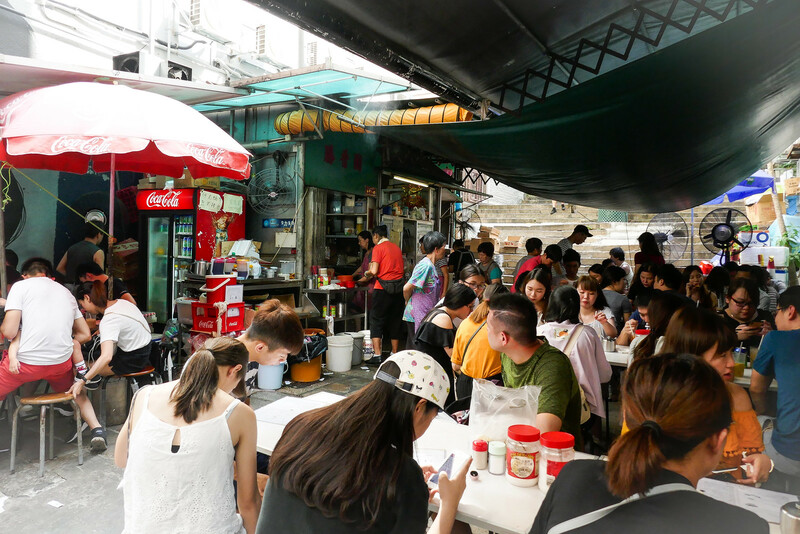 Located directly opposite another famous eatery, Kau Kee Beef Brisket Noodle (九记牛腩), Sing Heung Yuen is always packed, especially on weekends. It is not uncommon to see a long line snaking out the door and onto the footpath, so be prepared for a long wait! I love Sing Heung Yuen’s ‘dai pai dong’ setting. This no-frills eatery occupies a small area which is cramped with wooden chairs and tables. 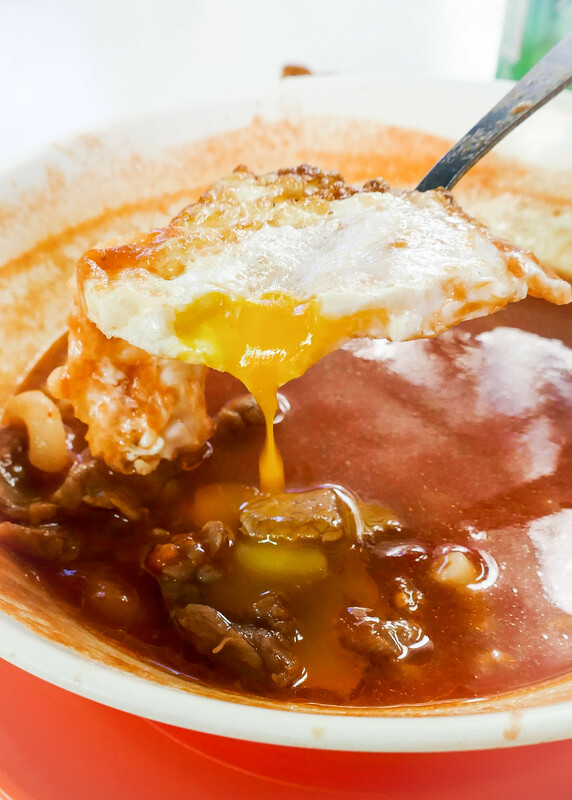 You can choose either macaroni or nissin noodles to go with their signature tomato beef broth. You may add on ingredients such as ham, sausages and eggs. 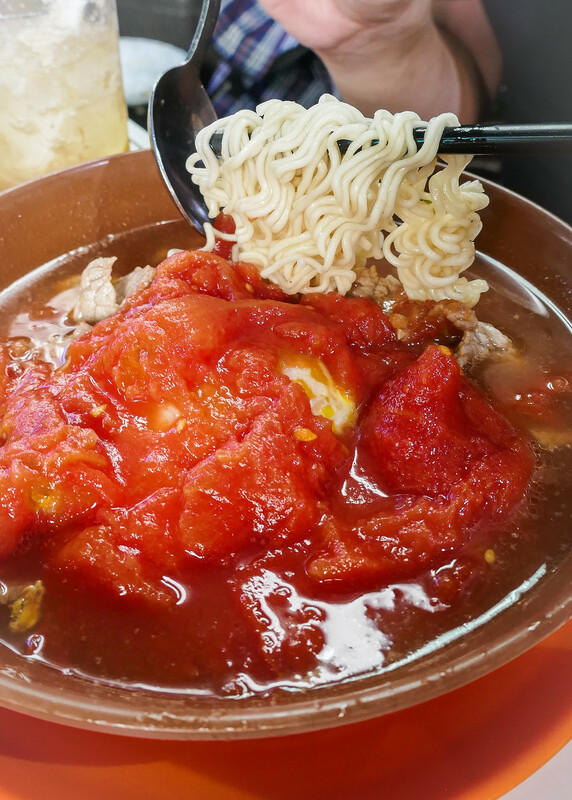 I loved my macaroni beef tomato with egg. 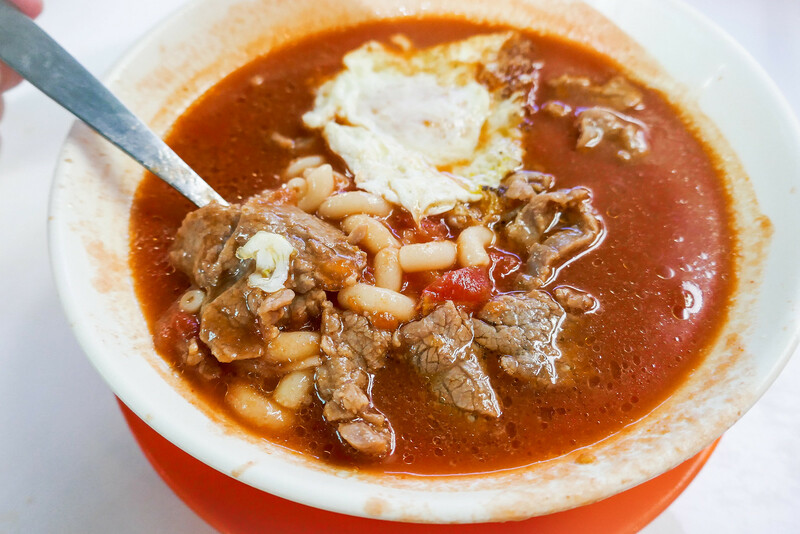 There were a few tender beef slices swimming in the tasty tomato broth. I finished every last drop of the addictive soup. My husband opted for nissin noodles. The broth seems to be a little different from mine. Generous dollops of canned tomato puree is added into the soup to thicken it. This one has a tinge of instant noodle seasoning, which some might love. 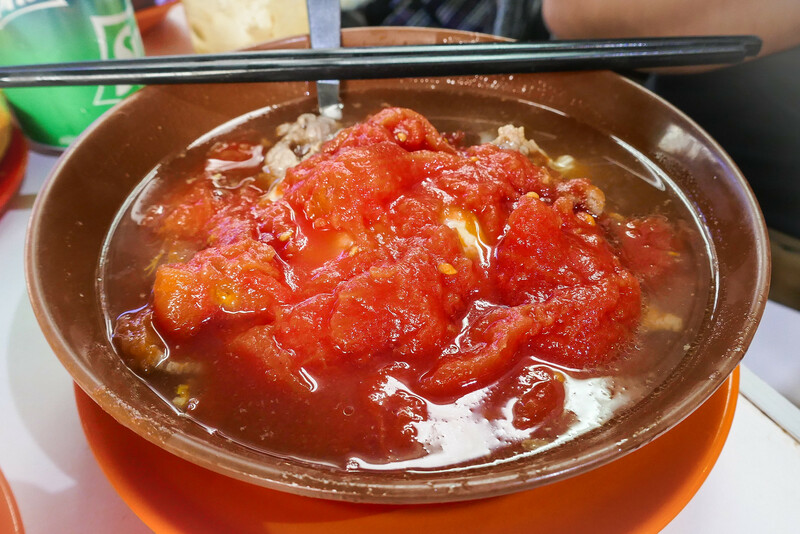 The sweet and tangy dish was simple, with few ingredients, but it was so comforting. The real star, in my opinion, would be their condensed milk toasted bun. 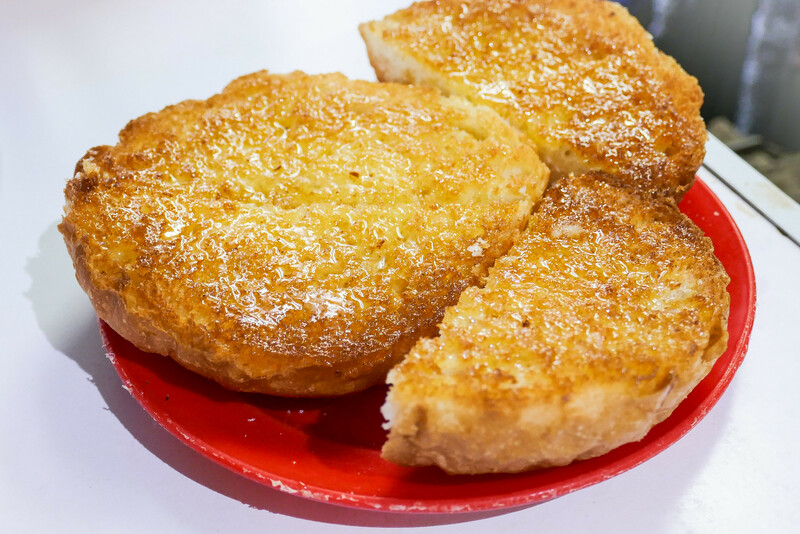 It’s buttery, crispy and sweet. You can go for the classic ones. But the unique Lemon Honey Crispy Bun is a must-try. Each bun is slathered generously with honey and lemon. It’s sweet, but not cloying. 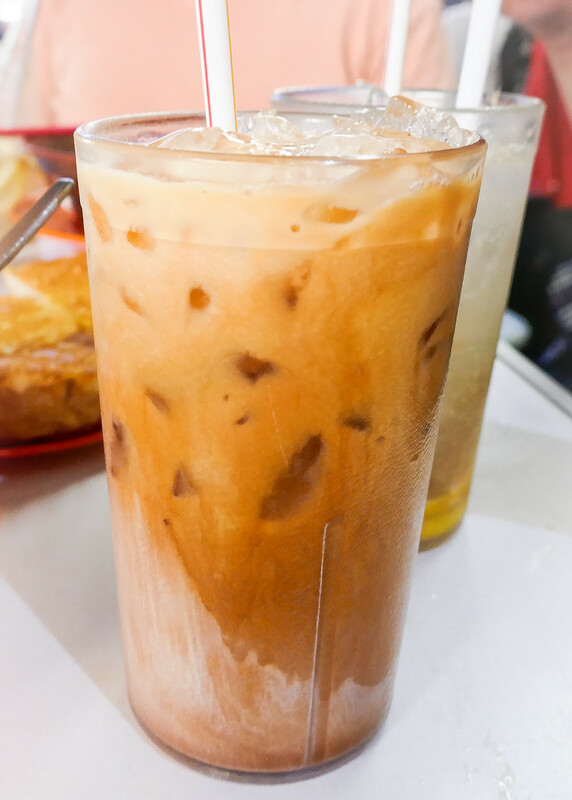 Don’t forget to pair the buns with an icy cup of smooth Hong Kong milk tea. It’s probably not the most comfortable dining experience, and you will have to share a table with strangers, but I strongly urge you to pay a visit. The turnover rate is fast, hence the waiting time is not painfully long.